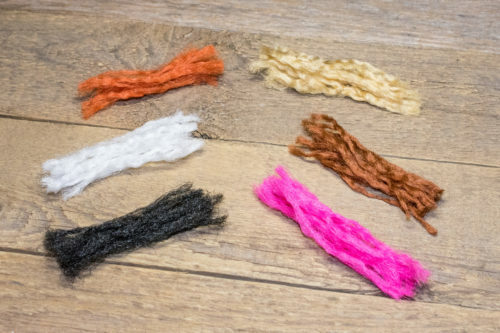 Now that fall is upon us, it is time to start thinking about going small once again. 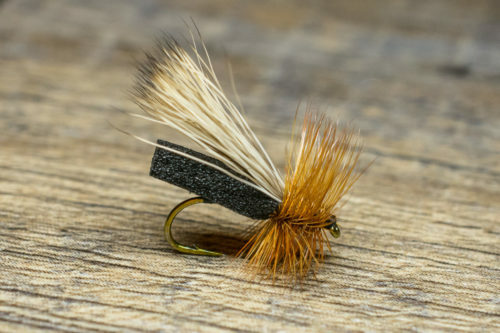 Autumn brings excellent dry fly fishing with blue-wing olives and midges. Blue-winged olives in the fall are referred to as Puesdocleons and are typically one or two sizes smaller than their counterparts in the spring months. 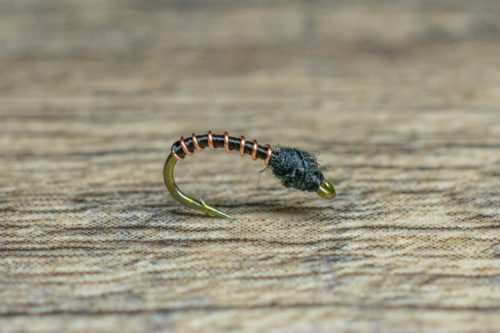 Fishing with a combination of smaller Baetis nymphs and midges throughout October and November is a must. 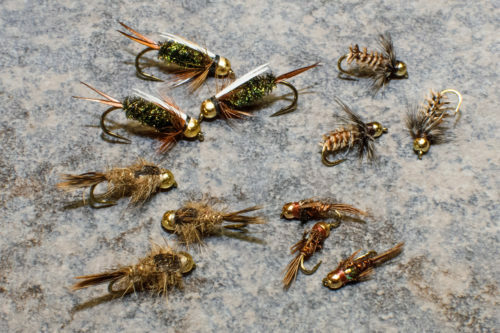 Some of our favorite Baetis patterns include; Jujubaetis (#20-22), Stalcup Baetis (#20-22), Mercury Pheasant Tail (#20-22), and Chocolate Foam Wing Emergers (#22-24). When in doubt, go small! Above is a pile of Stalcup Baetis Nymphs. 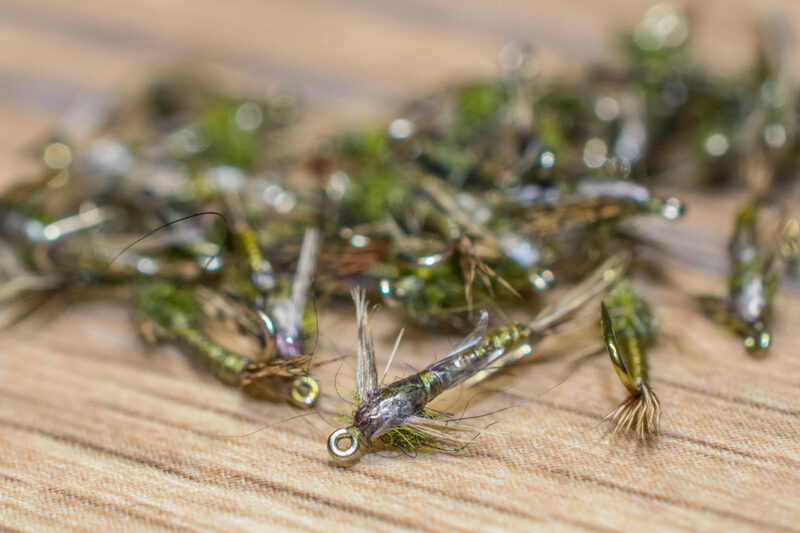 Anglers will also find dense midge hatches later in October and November. Dead drifting midge pupa imitations in the upper part of the water column will increase success rates. 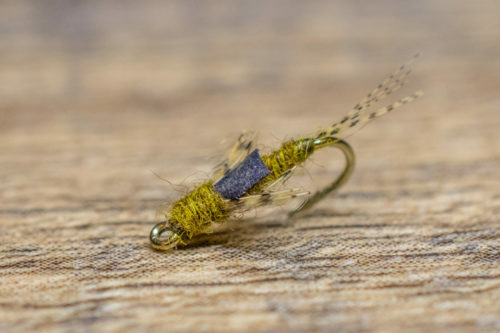 Some of our favorite midge patterns for late fall are the following: Mercury Midge (#20-22), Black Beauty (#20-24), Manhattan Midge (#20-22), and Top Secret Midge (#22-24). 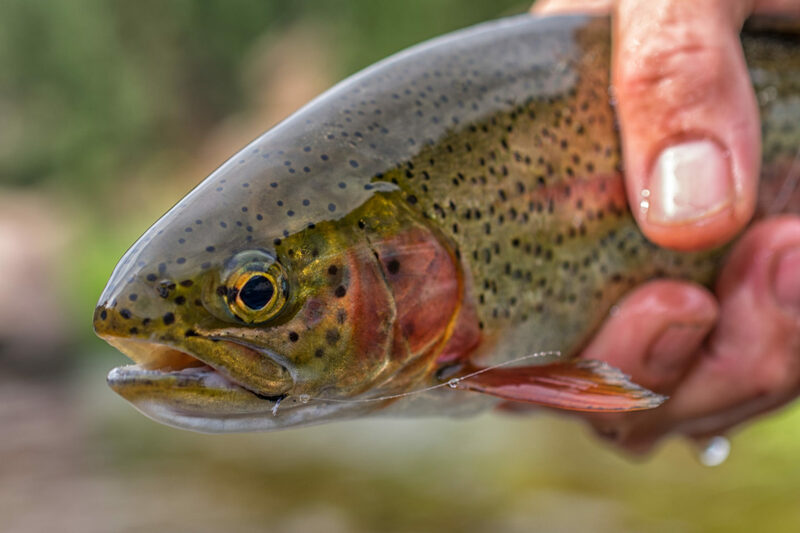 This South Platte Rainbow was fooled on a size 22 JujuBaetis! 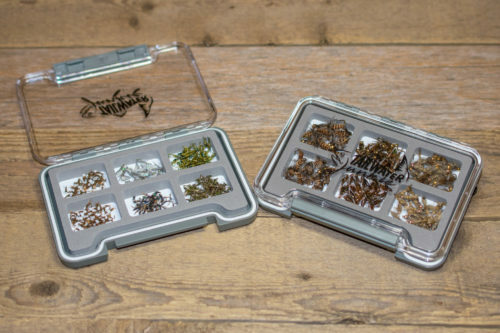 Fly Tying Materials now available!